Why would I need self storage in Hilton Head Island, SC? There are a variety of reasons why you might need self-storage in Hilton Head Island, SC. How much is a storage unit in Hilton Head Island, SC? The cheapest storage unit in Hilton Head Island, SC is $30.00 per month. What size storage units do you have available in Hilton Head Island, SC? In Hilton Head Island, SC we have sizes that range from 4'x4' to 20'x30' to suit your storage needs. How much is it for a 4'x4' storage unit in Hilton Head Island, SC? The cheapest 4'x4' storage unit in Hilton Head Island, SC is $41.00 per month. Hilton Head Island is a scenic barrier island and resort town in South Carolina's Beaufort County. It lies 22 miles east of Savannah, Georgia, and 140 miles north-east of Jacksonville, Florida. 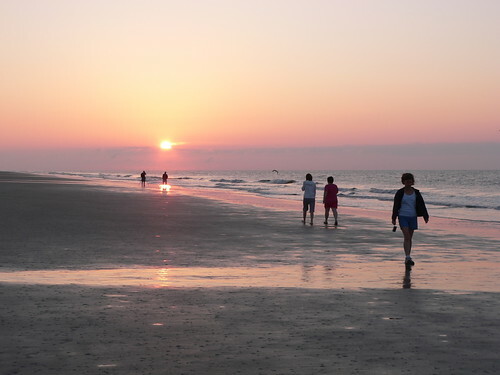 With 12 miles of Atlantic Ocean coastline, Hilton Head Island is a popular tourist destination. In addition to sandy beaches, the community is also home to major attractions including the Pinckney Island National Wildlife Refuge, the Coastal Discovery Museum, the Sea Pines Forest Preserve, the Edisto Island Serpentarium and The Sandbox Interactive children's museum. Native Americans were Hilton Head Island's original inhabitants. Archaeologists have traced artifacts as far back as 4,000 years, determining that the island was a home to tribes for many centuries before European settlement. In the 1500s, the first Europeans made contact with the local natives, and British Captain William Hilton arrived in 1663. He named the headland near the entrance of the sound Hilton's Head after himself, but its name later became Hilton Head Island. Farmers began cultivating Sea Island cotton on the island in the 1790s. During the Civil War, the Union used Hilton Head Island as an operation base for its blockade of the Southern ports. During the mid-20th century, it emerged as a major resort town in the area, and Hilton Head Island was officially incorporated in 1983. Hilton Head Island's economy is driven by its tourism and real estate industries. More than half of the island's jobs are related to the tourism sector, with a variety of roles to be found at Hilton Head Island restaurants, hotels, retail outlets and local attractions. Real estate is also a thriving sector in the area, with hundreds of real estate agents working to keep up with the demand for both full-time and vacation housing. If you're going to need a job after you arrive on Hilton Head Island, you may want to start your search at one of the island's major employers: Serg Group Restaurants, Sea Pines Resort, the Hilton Head Medical Center, Beaufort County School District and the Marriott Vacation Club. Public schools in Hilton Head Island fall under the jurisdiction of Beaufort County School District. There are also many highly-rated private schools on the island, including Montessori, college-prep and faith-based campuses. Utilities: Hilton Head Island receives utility services from the Palmetto Electric Cooperative, South Carolina Electric & Gas and the city's public service districts. Garbage and Recycling: It's your responsibility to choose a private company to collect your trash and recyclables. Transportation: Public transportation options are very limited on Hilton Head Island. Private companies facilitate most transportation services on the island (outside of personal vehicles). Hilton Head Island has many housing options to consider, many of which offer scenic views and access to local amenities. The oceanfront properties in the Sea Pines, Port Royal and Palmetto Dunes plantations are among the most sought-after on the island. Oceanfront villas in Folly Field and the North and South Forest Beach areas are ideal if you're looking for a low-maintenance property. If you're bringing a boat, look to homes with deepwater access in Sea Pines, Spanish Wells, Blue Heron Point and Wexford. Hilton Head Island's numerous golf communities are also a popular option, especially if you enjoy golfing or golf course views. Our lowest priced units in Hilton Head Island, SC average $66.67 per month. 109 people have reserved units in Hilton Head Island, SC in the past 30 days. There are 6 locations within Hilton Head Island, SC's city limits. There are 5 locations in Hilton Head Island, SC that offer AC and Heating features.